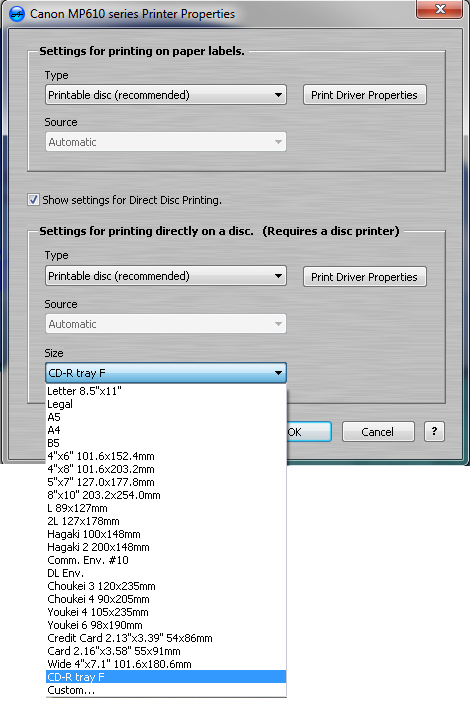 We received an email inquiry about printing directly to a disc using the Canon Pixma MP610. We wanted to post the information to our forum in case anyone else is having trouble. 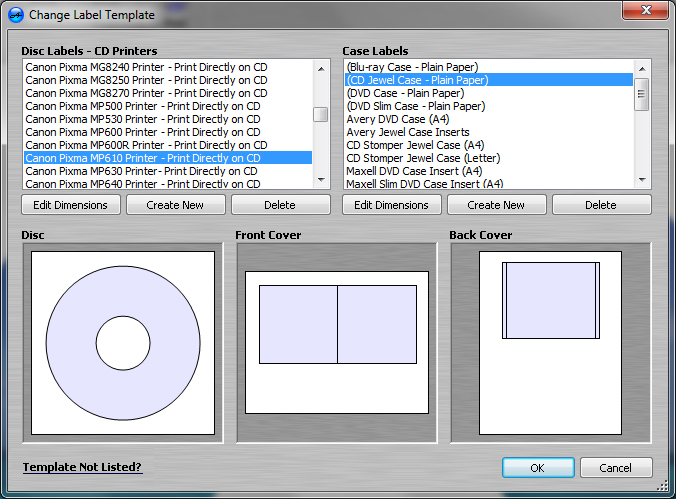 AudioLabel will easily print directly to a disc using the Canon Pixma MP610, as long as the template and printer settings are correct. Here is a quick tutorial to help ensure everything is set correctly. 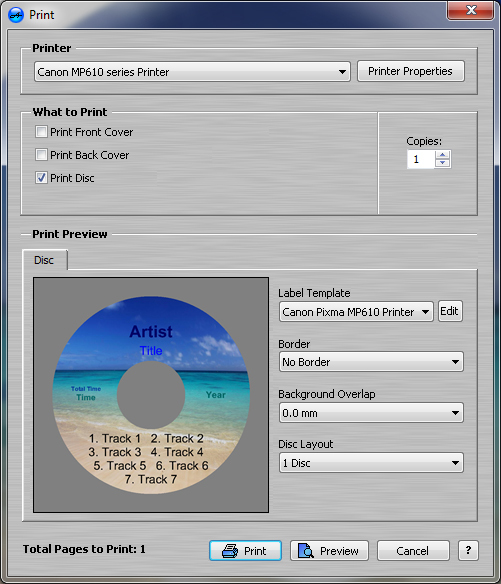 Next, open the "Print" dialog in AudioLabel and select the Canon MP610 in the Printers drop-down box. AudioLabel should print directly on the disc using the above settings. 1. What exactly happens when you try to print on the disc? 2. Are there any error messages? If everything is working correctly, please post back to the forum with any information that might help others.